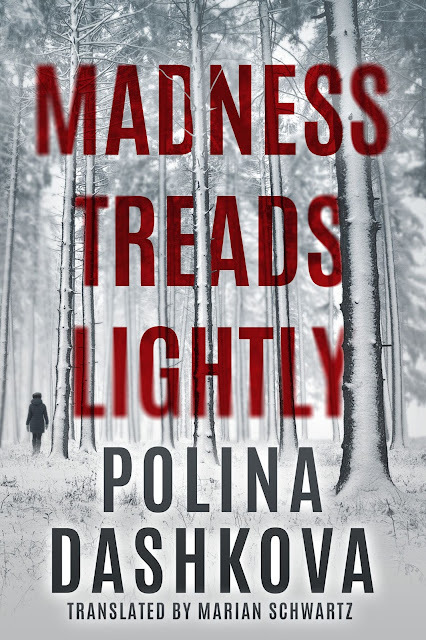 Russian crime novelist, Polina Dashkova, is answering our questions about writing and her book, Madness Treads Lightly, which has been translated into English. As Lena digs in to her investigation, all clues point to murder—and its connection to a string of grisly cold-case homicides that stretches back to the Soviet era. When another person in her circle falls victim, Lena fears she and her family may be next. She’s determined to do whatever it takes to protect them. But will learning the truth unmask a killer…or put her and her family in even more danger? Q: The German press call you the Russian Crime Queen. What do they call you in Russia and what made you want to write mystery novels? A: The Russian journalists were the first who called me "Crime Queen,"and the German press repeated the name. In real life I'm not a "Queen", I'm a slogger. However, I must admit I admire this awesome cliche. I love suspense. It's exciting to invent a story about unusual people in unusual situations. Q; In many of your novels your protagonists are strong women. Do you model them after people you know or combine inspiration from multiple sources? A: I have written many novels, and they are all very different. Not all of my characters are strong, nor are they all women. And only some of my characters are modeled after people I know. Q: What do you find most challenging about writing crime fiction? A: Real life is not very logical. Real events and the motivations for people’s actions are often absurd and chaotic. In a novel, especially in crime fiction, the sequence and interdependence of events must be logical and peoples’ motivations must be reasonable and absolutely believable. To keep the balance between fiction and reality it sometimes feels like I am walking a tightrope blindfolded! Q: What writing projects are you working on now? A: I'm writing my new novel – a historical thriller. The plot is based on real events which happened in Moscow in 1977. Q: Which of your novels do you like best and why?